Learning how to increase and decrease in crochet is important. It enables the crocheter to make garments, make toys, crochet things that have round or other shapes. We cover crochet increases here. 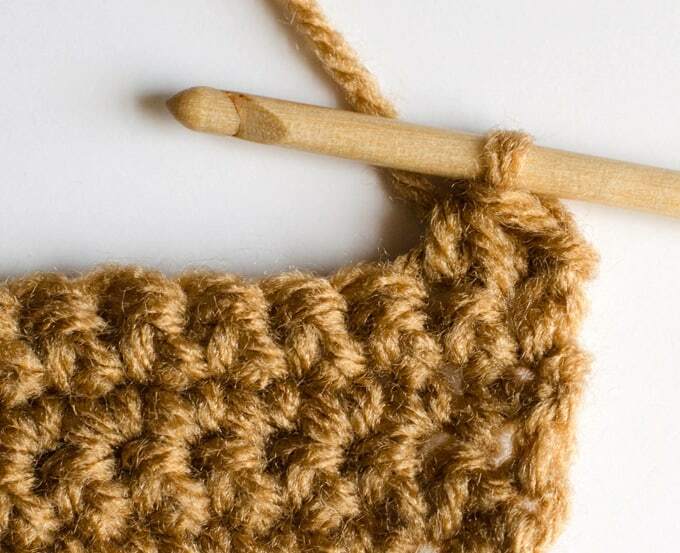 Now it is time to learn how to decrease in crochet.Learning how to decrease in crochet is not quite as easy as increasing, but it is simple and becomes second nature once you have done it a few times. Decreases are abbreviated in patterns as ‘dec’, but sometimes the designer will simply tell you to “sc 2 tog” which means to “single crochet 2 together”, etc. In garments, increases and decreases are often paired so that the shaping occurs simultaneously on both sides. 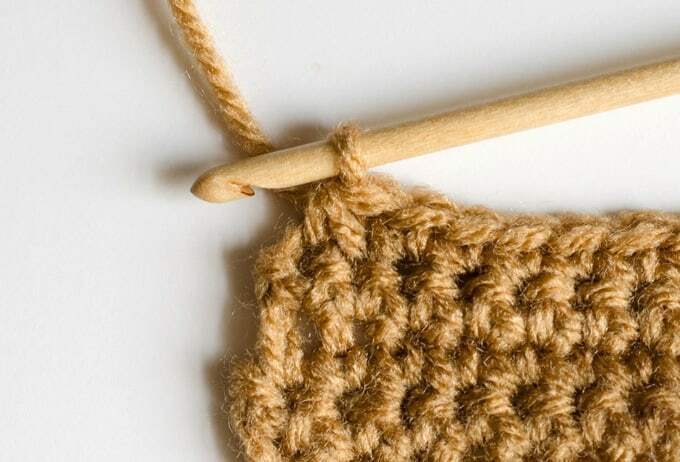 To single crochet decrease at the beginning of a row, start to make a single crochet, stopping JUST before pulling a loop through the 2 loops on the hook. 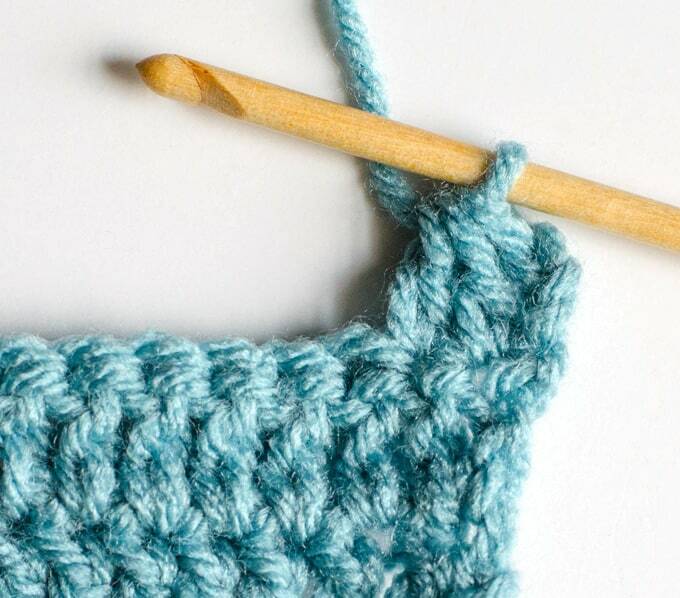 Place the hook into the next stitch and pull up a loop. Now there are 3 loops on the hook. Yarn over and then pull through all 3 loops. Ta da! You’ve just learned how to decrease in crochet! Working a decrease at the end of the row works the same way. 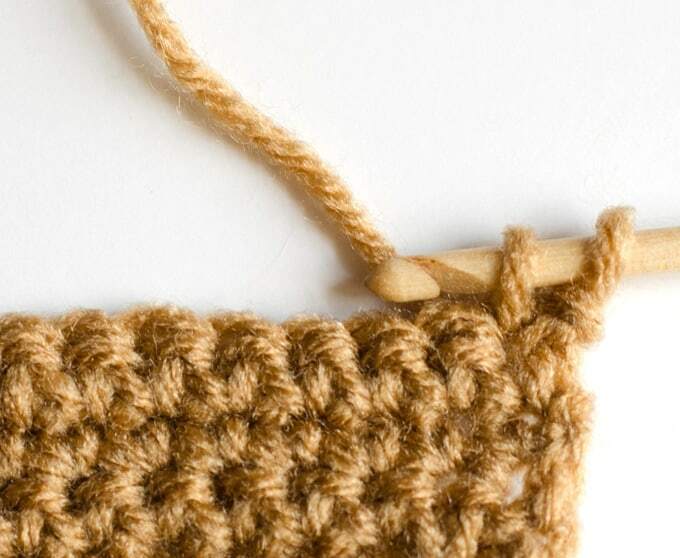 In the 2nd to last stitch, begin to making a single crochet, stopping when there are 2 loops on the hook. Put the hook into the last stitch and pull up a loop. Then yarn over and pull through all 3 loops on hook. A single crochet decrease! Notice how a decrease makes the work slant inward. So this decrease at the end of the row, makes the work slant in towards the right. The decrease worked earlier at the start of the row, does the opposite, it makes the work slant in towards the left. 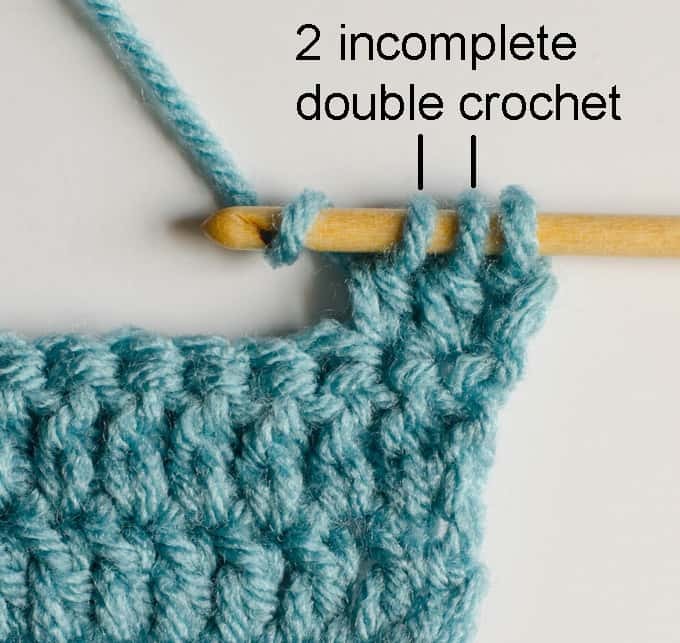 A double crochet decrease works similarly. First, the turning chain. This counts as 1 double crochet BUT it is NOT part of the decrease. 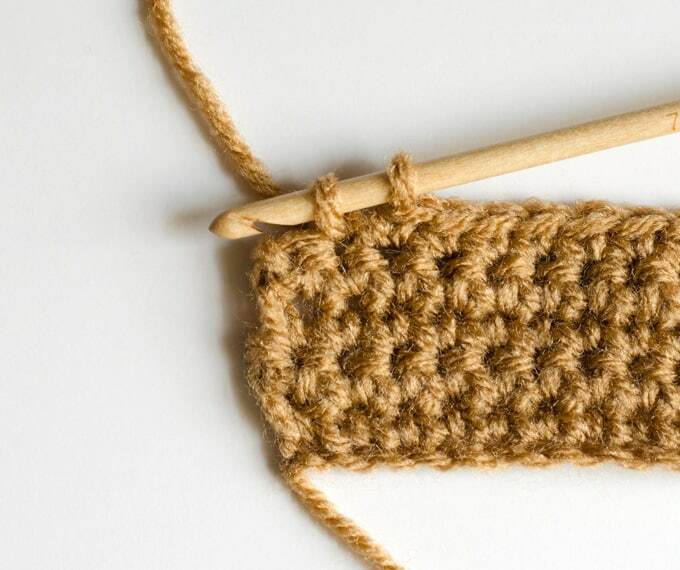 In the next stitch work a double crochet up to the last yarn over, when there are 2 stitches on the hook. Then in the next stitch, work the double crochet until the last yarn over. There are now 3 stitches on the hook. Yarn over and pull through all 3 loops on the hook. The decrease is made! 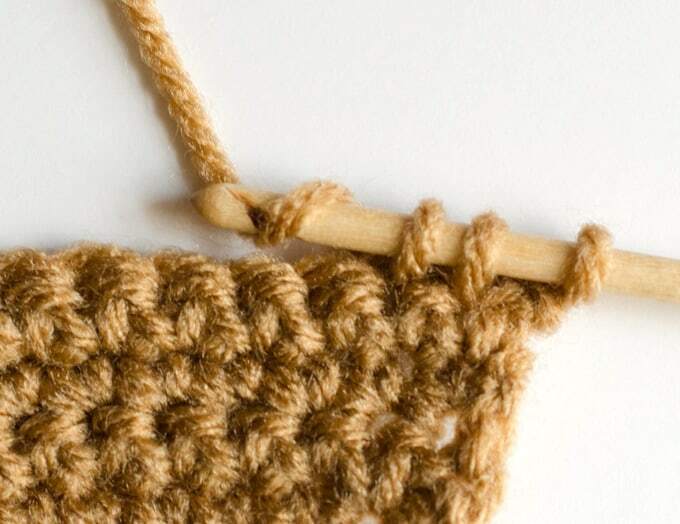 To decrease at the end of a row, work until the last 2 stitches. 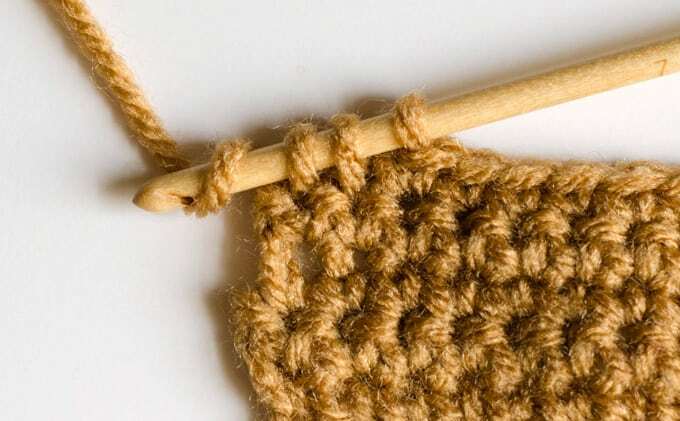 In the 2nd to last stitch, work a double crochet, but only until the last yarn over, when there are 2 loops on the hook. Then make another double crochet in the last stitch, stopping right before the last yarn over. Yarn over and pull through all 3 loops on hook. A decrease at the end of the row is complete! 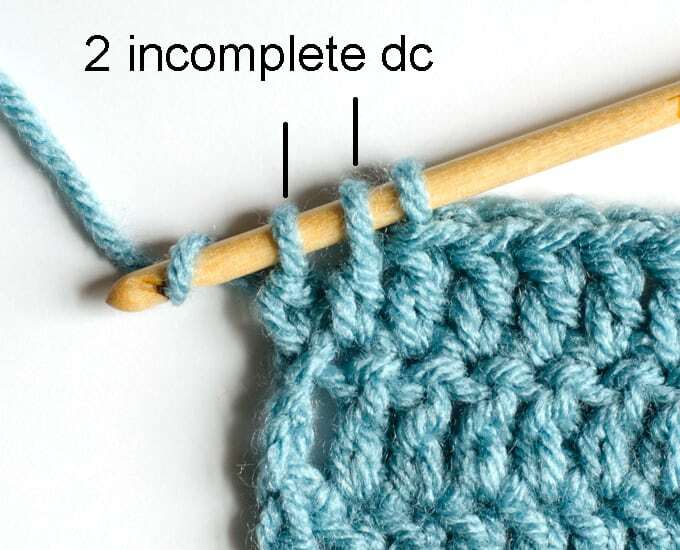 Decreases in other stitch heights such as half double crochet and triple crochet are worked similarly. I am in the process of making an afghan and I haven’t crocheted in many years. I started out fine. At about the 4th row I noticed it was looking a little tighter. Then I noticed I had bumps in it. one end is fine but the other is crooked. can it be fixed? or is it better to start over I greatly enjoy your articles. It can take time to get your gauge consistent and just takes practice. 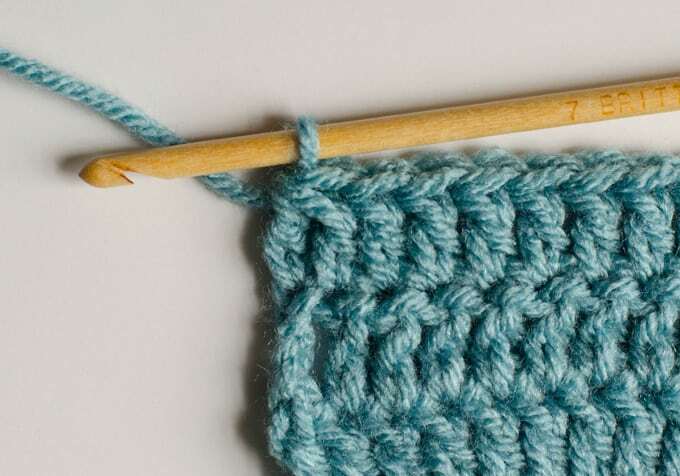 To keep your rows straight on the sides, count your stitches at the end of every row to make sure you still have the right number of stitches. It is really personal preference if you want to rip it out or move forward. I do a lot of ripping over here. LOL!